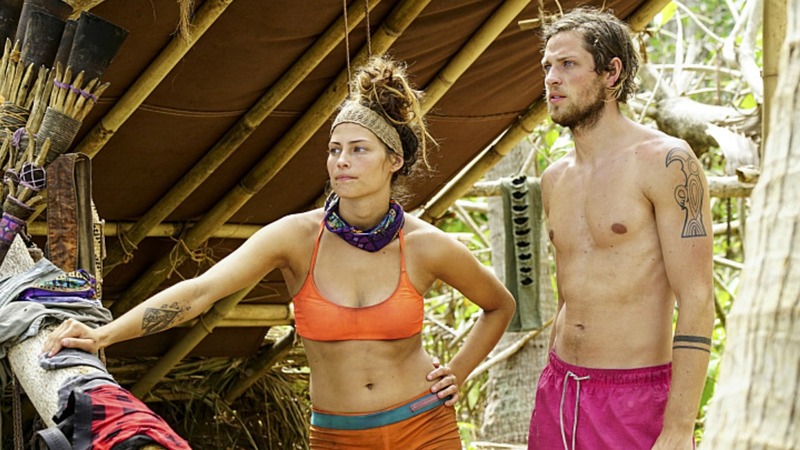 CBS has 33 seasons of Survivor under its belt, but it might have found the biggest liar of them all in their Survivor: Millennials vs. Gen X show — Taylor Stocker. Fans watched as Stocker became smitten with Jessica “Figgy” Figueroa on the series. SheKnows interviewed Figueroa after she was voted out, and she talked about how she felt about Stocker while she was on the show. Life wasn’t so rosy after the show ended though. The two tried to make it work in the real world, but Figueroa alluded to some serious trouble in paradise. So what happened to the Survivor duo? Well, Stocker might have pulled off the biggest blindside in the show’s history. According to In Touch Weekly, he is expecting a son this month with his girlfriend. Not only did Stocker have a girlfriend, but she was also pregnant while he was on the island with Figueroa. He lied to two women while trying to have his cake and eat it too. No wonder Figueroa is over the saga of their island romance. She wants nothing to do with him after his deception. While we empathize with her and Stocker’s pregnant girlfriend, we cannot wait for the explosive reunion show when Jeff Probst calls out Stocker on his messy personal life. It looks like Figueroa is looking forward to that moment as much as we are.